Retired DCI Carol Chamberlain is being hassled by a man who claims to have killed a teenage schoolgirl by setting her on fire twenty years ago. Only the man convicted of the crime, Gordon Rooker, is still in prison. The victim was meant to be the daughter of a gangland boss, but instead her best friend died. Nonetheless the boss took the hint and retired and his second in command, Billy Ryan took over. Ryan has gone on to consolidate his position as a leading London gangster, but is now engaged in vicious eye-for-an-eye turf war with a Turkish gang headed by the Zarif family. When the Turkish owners of a video shop are murdered, DI Tom Thorne and the team he’s working for are assigned to the case. Then Carol Chamberlain makes contact, seeking help. Rooker, coming up for parole, now claims to be innocent, having refused to undertake the contract which had been issued by Ryan. And whoever did kill the burning girl seems to have resurfaced in the middle of a gangland war. Like many of the leading police procedural writers such as Ian Rankin and Michael Connelly, Billingham has an easy but engaging writing style and a well developed, flawed, driven but sympathetic main character. The pages flip past without any real sense of the reader having do any work. This I think is a strong positive; clear, engaging, economical prose, with realistic scenes and dialogue. 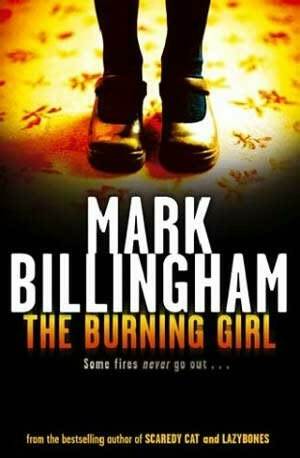 The Burning Girl is a solid piece of storytelling, but for me the book lacked the bite or spark that would have given it some needed suspense. The plot seemed a little aimless at times, as if Billingham wasn’t quite sure where it was going, and there were a couple of plot devices I didn’t really understand, such as the investigation being wrapped up and the team being disbanded even though the case was clearly not over. And the internal police tension amongst team members seemed staged. 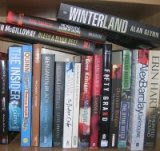 In contrast, the lives, politics and tactics of gang rivalry and prison life was more convincing. Overall, a solid, entertaining read, but not quite out of the top draw. I think you've hit a nail on the head in this review. The "superior forumla" approach can be easily readable, as you say, but somehow hard to maintain enthusiasm for, if you want something more original and fresh in your reading. I think quite a few "bestselling series authors" fall into this category. I liked the first couple of Thorne stories quite a lot, but I thought this one was a bit graphic - and I suspect that sometimes when writers have nothing original to offer, they resort to more violence. But that may just be my opinion. How useful is your work? "I do bad things but I'm not a bad man"